We traveled to York this past weekend. If you're touring England, it's truly an outstanding city to visit. 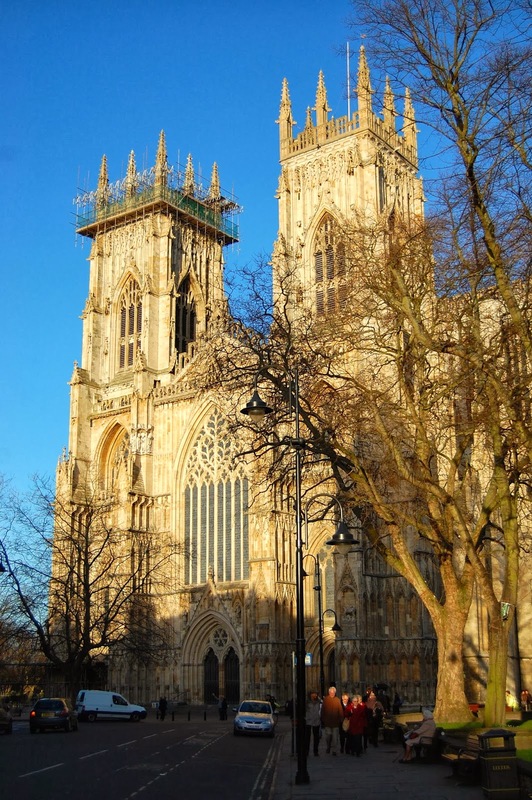 Founded in 71 AD as the Roman military fort of Eboracum, the city was successively ruled by the Angles (calling the city Eoforwic); then Vikings from Denmark for two centuries (who called the city Jorvik); then the Normans (i.e., William the Conqueror); and finally assimilation into England as York. During medieval times the city rose to great prominence, including as the base for the House of York to battle the House of Lancaster in the War of the Roses. Following centuries of gentle decline, York rose in the late nineteenth century as a center of confectioners — e.g., the creators of Kit Kat — and the railway industry. Nowadays, York is a major center of tourism in northern England. A carving outside the York Minster. Given its varied history, York provides visitors a wealth of different attractions. We saw a bunch of them. 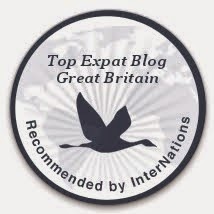 While traveling is a major source of material for this blog, it also slows down my production of posts. Sorry 'bout that. Traveling takes time. So I gather a whole bunch of things about which I'd like to write, but then have less time to write about them. A double-edged sword. 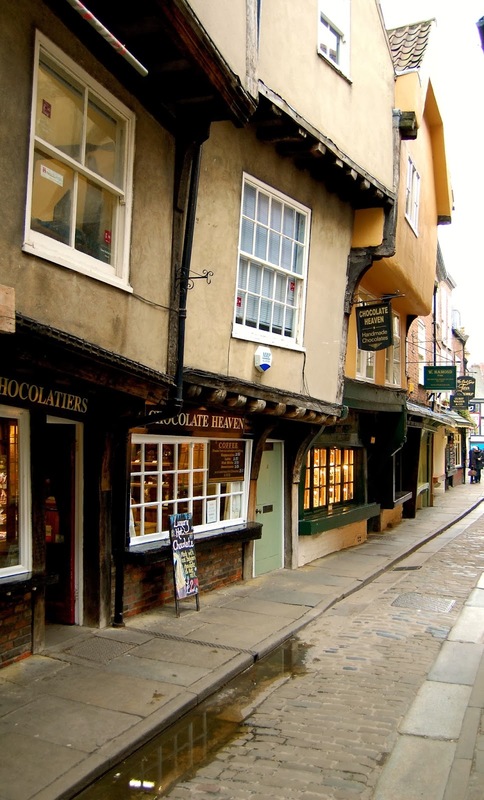 The sloping buildings on the "Shambles" in downtown York. An interactive display at York's Chocolate Story. Only a little bit remains of St. Mary's Abbey. Stopping for a snack outside the Yorkshire Museum. 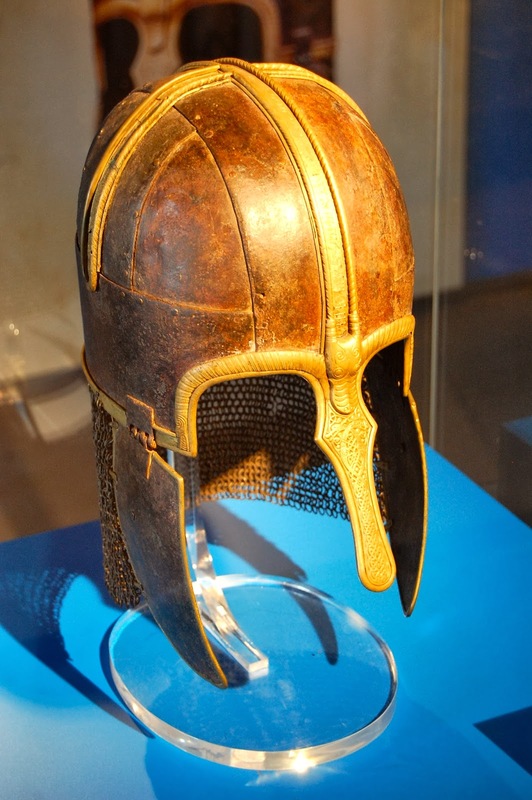 An 8th century Viking helmet. A display about the Roman town of Eboracum. A steam engine in the massive National Railway Museum. Tracing the ruins of Fountains Abbey, a UNESCO World Heritage site. A recreated Victorian street in the York Castle Museum. 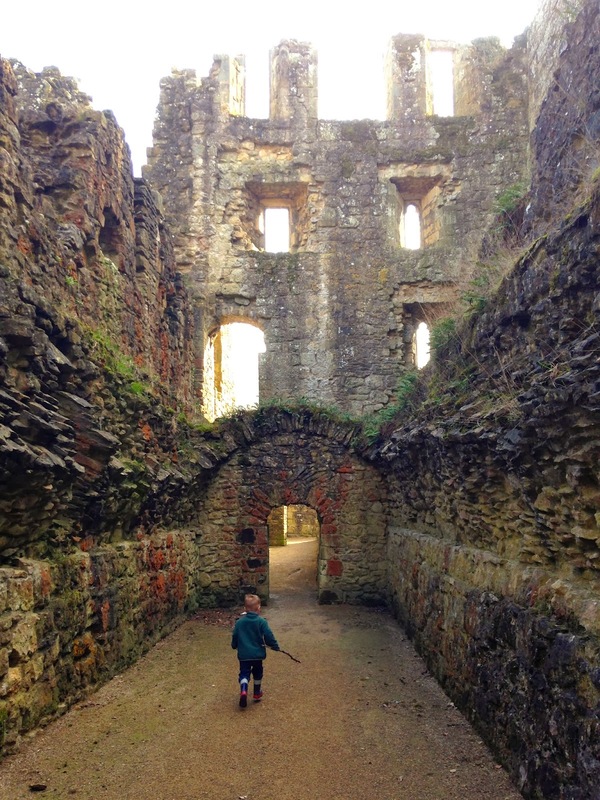 Jackson exploring the ruins of Rievaulx Abbey.